Sweet Grandchild Story - Pretend to be KK! Don't you just love it when your grandchildren copy you? Well, I suppose we love it based on what they are "copying"! On one of my blogs (About the Children's Department) one of my readers shared the following "sweet granddaughter story", which I'm delighted to share with you today! Five Days & Two Giveaways - You Have Time to Enter! Yes, in five days I'm giving away two resources which will help you pass on a heritage of faith to your grandchildren . . . and have fun doing it . . . and laugh, too! Today is my grandson Caleb's birthday and we are celebrating with pizza, cup cakes, cake and orange juice (his picks!) and then water balloons, squirt guns and basically getting soaked! Since my grandsons love to play in the water and here in Michigan we have lots of water, they will enjoy the birthday party fun! What do you do to celebrate your grandchildren's/children's birthdays? Do you celebrate with your family? Do you let your grandchild/child pick the menu? What do you do? What Are Your, "Sweet Grandchild/Child Stories"? Please Share! Today, I thought I'd share one of my "sweet grandson stories" with you! A couple days ago my sweet grandsons were at my house and Josiah saw my book; It Is Impossible to Spoil Grandchildren: and Other Important Facts for Grandparents and Parents, Too! He picked it up, sat down and started reading chapter one out-loud! As he read, he got a big smile on his face when he realized I wrote about him and his brothers. He read abut half of the first chapter and then read the Epilog - he smiled and nodded his head through most of it because he clearly remembered the situation I wrote about! I enjoyed hearing him read my book; it was a treat to see and hear his reaction! Part of what we do to pass on a heritage of faith to our sweet grandchildren is to help bring the teachings and lessons of the Bible into our grandchildren's everyday lives. When the hear about the Bible event where Josiah chose to read God's Word and obey it, they need to understand they can make this choice, too! When they hear about how Caleb chose to trust having God on his side was better than being "giants", they need to understand how they have God on their "side", too! When they hear about how Daniel chose to talk with God even when it meant he could become the main dish on the lion's menu for supper, they need to understand they can talk to God about anything and everything at any time, too! 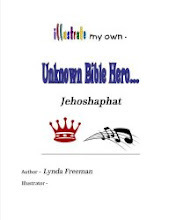 Yesterday I shared with you how my book, , is available on Amazon as a print version! 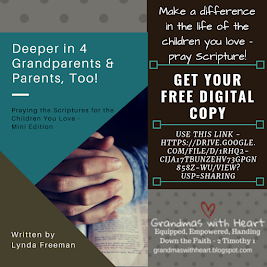 At first I was not sure what I would write about on this blog, but as I thought about it, I thought it might be fun for this blog to be a place where we all can share our own, "sweet grandchild/child stories" and share what we are doing to pass on a heritage of faith to our grandchildren! I'll also share things about my book from time-to-time as well. 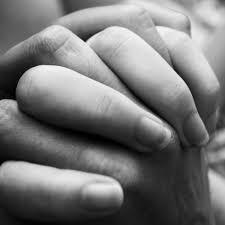 I hope this blog will be a place where we get to know one another and encourage each other as well! It Is Impossible to Spoil Grandchildren is Available! 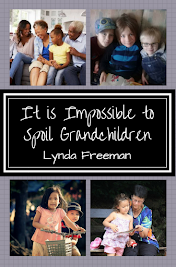 I am very happy to say, It Is Impossible to Spoil Grandchildren: and Other Important Facts for Grandparents and Parents, too!is available on Kindle and as a print version on Amazon! 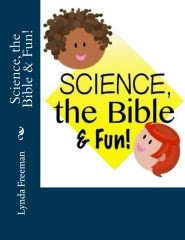 This book is my book - I'm the author, and yes, the three adorable boys on the cover are my three, sweet boys! Today I wanted to let you know it is available on Amazon and let you know of my giveaway of two digital versions on my blog, grandma's cookie jar!